Field Dressing Game Folding Pocket Guide | BUDK.com - Knives & Swords At The Lowest Prices! 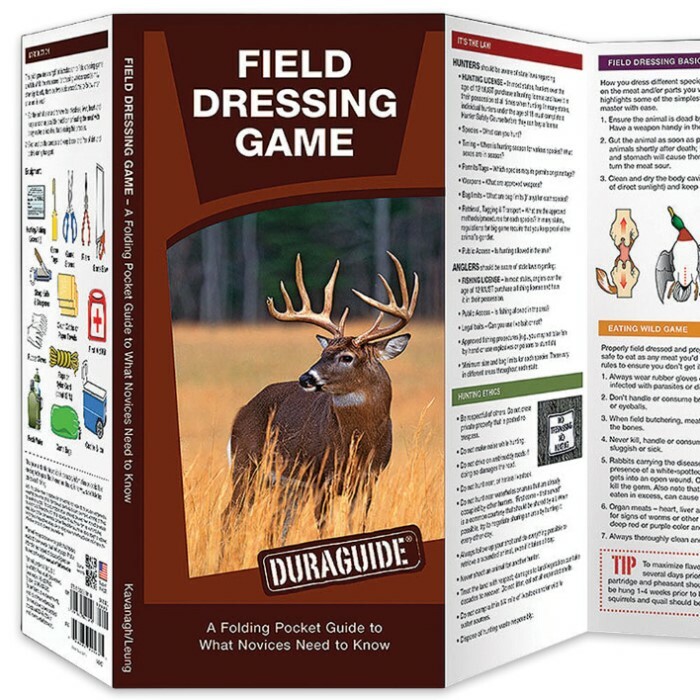 This handy new guide provides a simplified introduction to safe practices and procedures for field dressing and safe transport of various species of fish and game including rabbits, squirrels, deer and other large mammals, ducks/geese, pheasant, turkeys and small game birds. Also references legal issues, hunting safety and hunting etiquette. This guide is the perfect companion to have in your pocket during hunting season. 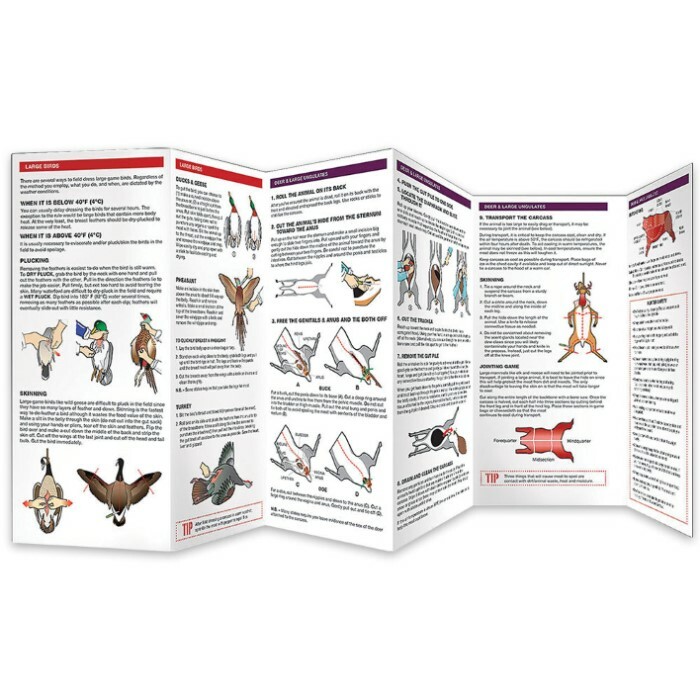 Laminated for durability, this lightweight, pocket-sized folding guide is an excellent source of portable information and ideal for field use by novices and experts alike.